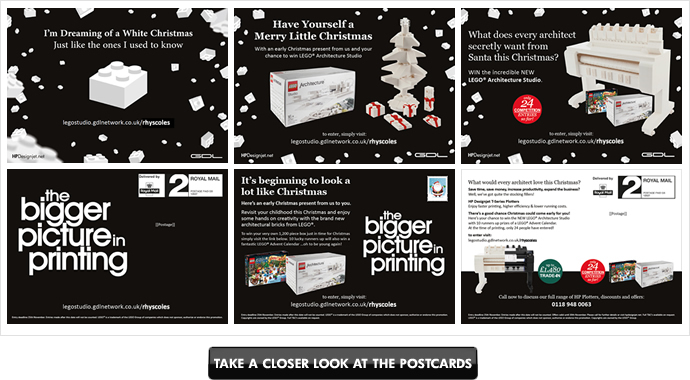 For full details on this particular Cross Media Campaign, please call Helen or Rhys. 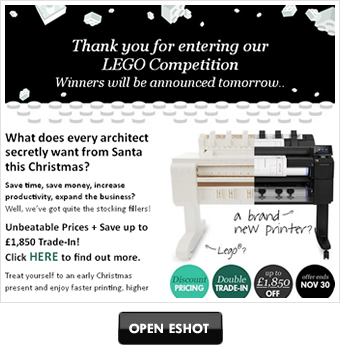 The postcards below each carry a pURL to the recipient’s landing page where they can enter the Lego competition once they’ve answered three printer related questions. 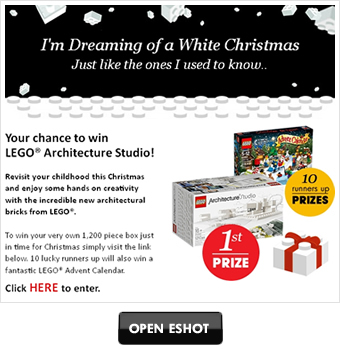 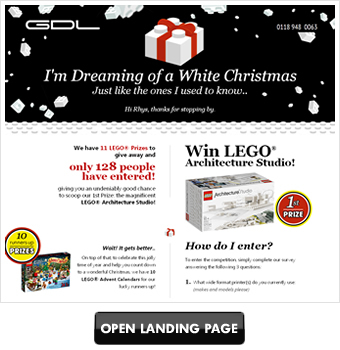 Links to the Lego landing pages can be found further down this page. 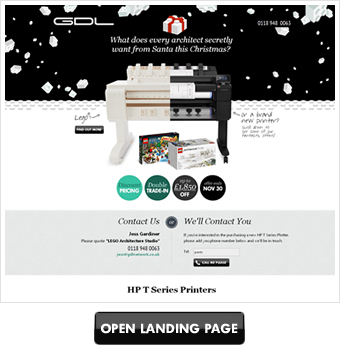 We built a variety of landing pages. 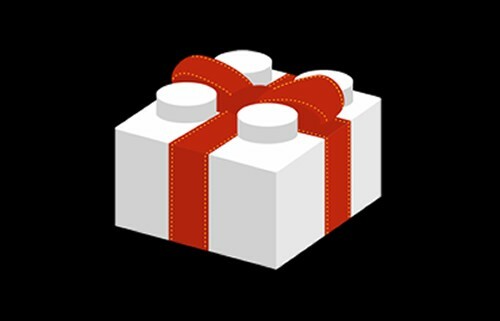 Here follows the main one plus a follow up.